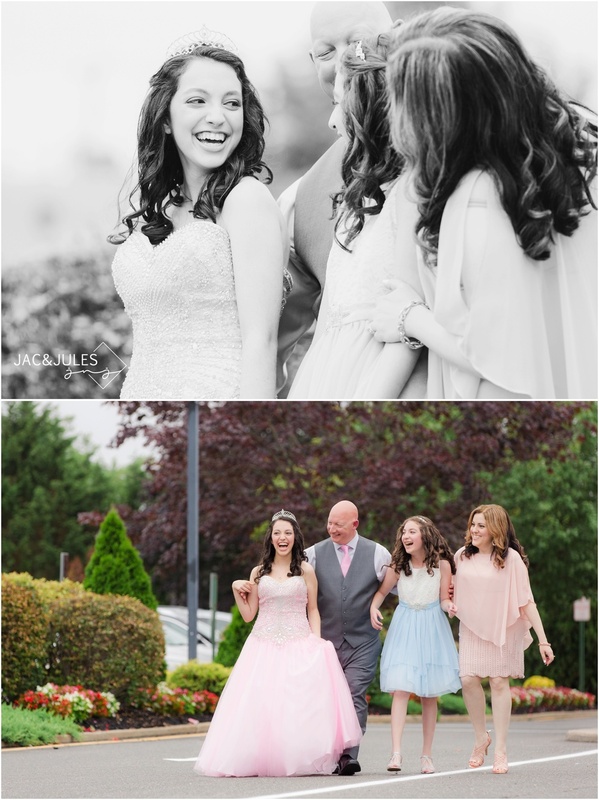 BRIANNA'S SWEET 16 IN TOMS RIVER, NJ WAS SUPER... WELL, SWEET! EVERY LITTLE DETAIL WAS GORGEOUS, FROM HER SHINING PERSONALITY, TO HER INFECTIOUS LAUGH, TO HER PINK BALL GOWN, TO THE PRETTY PINK UPLIGHTING, AND PERFECT CANDY DISPLAY. IT WAS A TRULY GIRLY AFFAIR! When Brianna's mom contacted us about photographing her daughter's sweet 16 party, it was hard not to get excited! She was so into all the details and having everything be perfect for her little girl, and it was! It was so much fun capturing not only the lovely decor (including the crazy amazing DIY candy display! ), but the family dynamic, and genuine love these guys showed for each other. Brianna was beyond cute. Even during the candle-lighting ceremony, any little slip up was followed by an adorable little giggle, and you couldn't help but smile, and laugh along with her! We hope you had the happiest birthday Brianna, and that we captured it in a way that will bring back the feeling of this day for years to come! Enjoy!